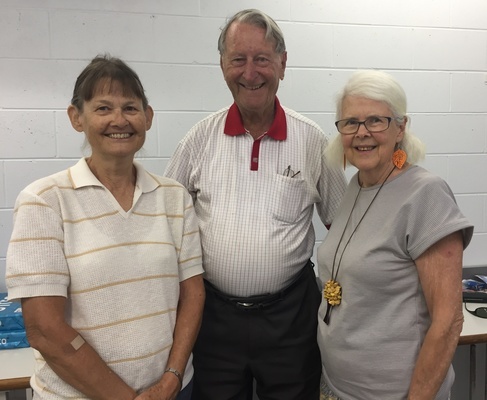 President Neil Bonnell and Janet Schultz and Clare Cotton are the new committee members for U3A Warwick. The University of the Third Age (U3A) Warwick’s annual ‘Information and Enrolment Day’ is being held at the Williams Hall in Guy Street tomorrow, Friday 25 January, at 10am. Tutors of all courses will be available to talk to and answer your questions. New courses this year include Croquet, Scrabble, Handicrafts and Morning Musicals. People who are considering joining or who want to know more about activities that are occurring throughout the week and through the year are encouraged to come along. Classes are small enough that you get a chance to meet and make new friends. Many members started as newcomers to Warwick or newly-retired people looking for something to do and to meet new people. Morning tea will provide a chance for members to get together. All welcome.